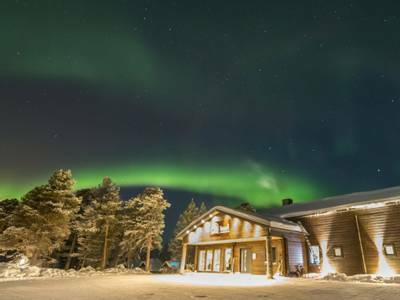 Wilderness Hotel Inari has an enviable location and there can be few nicer ways to see in a New Year than to stand on the ice of frozen Lake Inari and watch the sky for the Northern Lights. It will certainly be one to remember. 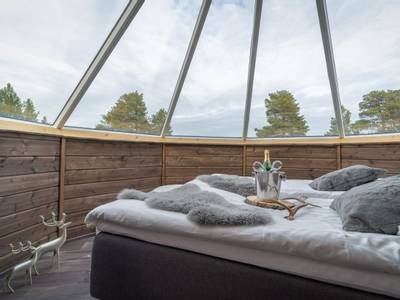 This holiday combines some memorable activities with some amazing Aurora potential but importantly, there is still time to relax and unwind in between. 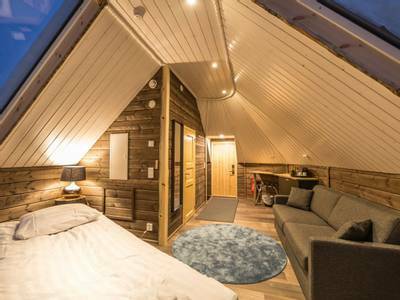 You can head home ready to face the next twelve months, invigorated by your time in the Arctic. 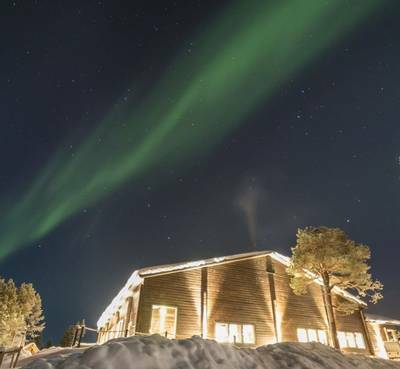 Your seven-night break to Wilderness Hotel Inari in Northern Finland puts you in prime Aurora viewing territory and we have dedicated night-time Northern Lights activities to make the most of it. 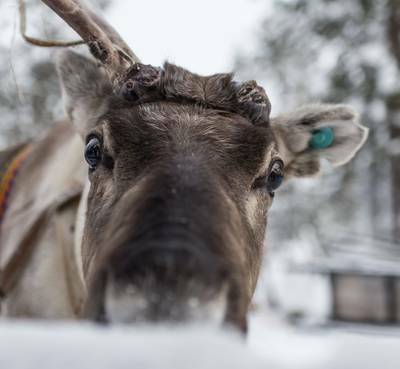 During the day you’ll meet reindeer, try dog sledding, go snowshoeing and much more. Flights: direct return flights are included from London Gatwick to Ivalo. Routes are subject to change. 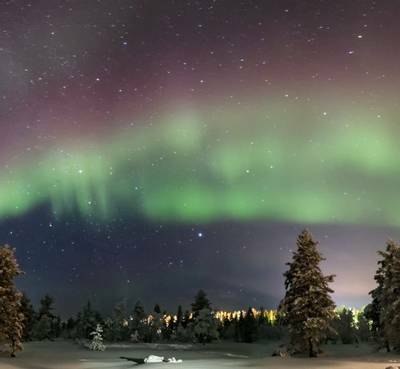 See in the New Year on the shores of Lake Inari in Finnish Lapland, gazing at the sky and keeping watch for the magnificent Northern Lights. 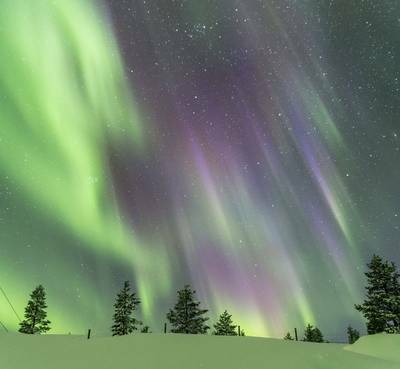 This seven-night holiday provides excellent Aurora viewing potential in spectacular surroundings, as well as the chance to try some of the most popular Arctic activities. 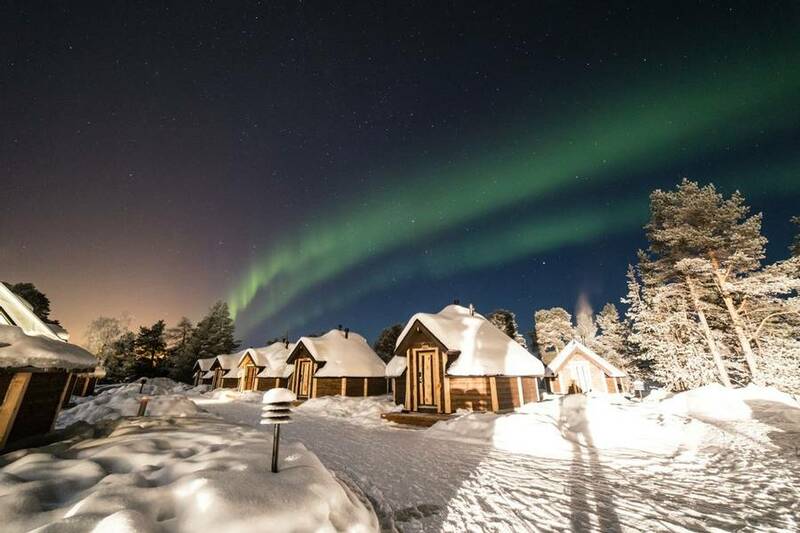 The hotel’s location means that the Aurora can often be seen by simply stepping outside but we include four varied adventures in the evenings to enhance your viewing opportunities. 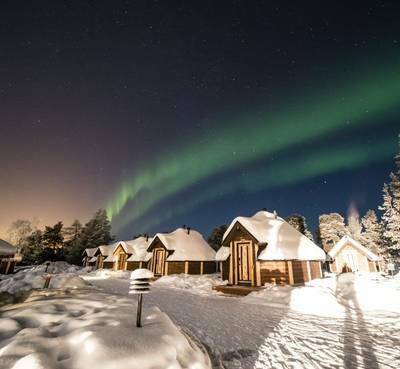 In the company of your expert local guides, you will hunt the lights on snowmobiles, by car or minibus and will spend two evenings on Northern Lights stake-outs at remote Aurora Camps tucked away from any light pollution. This itinerary offers a great balance between free time and activities. You’ll make the most of your holiday, take part in all the key activities, but will still have enough time to unwind so you return home feeling refreshed and revitalised. 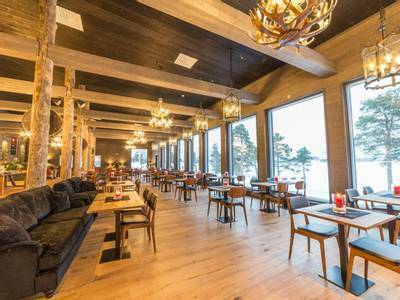 Holiday highlights include dog sledding, a visit to a reindeer farm, visiting the famous Sámi Siida Museum and a cross-country skiing lesson. 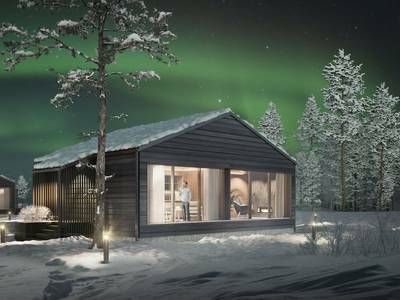 During your free time, you can always explore the nearby village of Inari independently, enjoy some additional activities or perhaps relax in the glass-roofed Northern Lights sauna which is available for guests to use. We can think of few places in which we’d rather celebrate New Year. 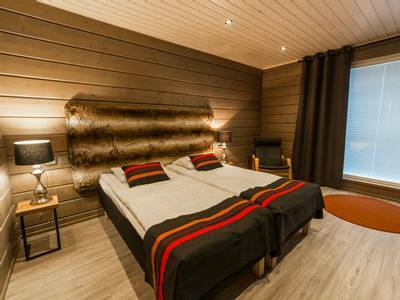 Upon arrival at Ivalo Airport, you will be greeted by your driver for your transfer (approximately 40 mins) to Wilderness Hotel Inari. 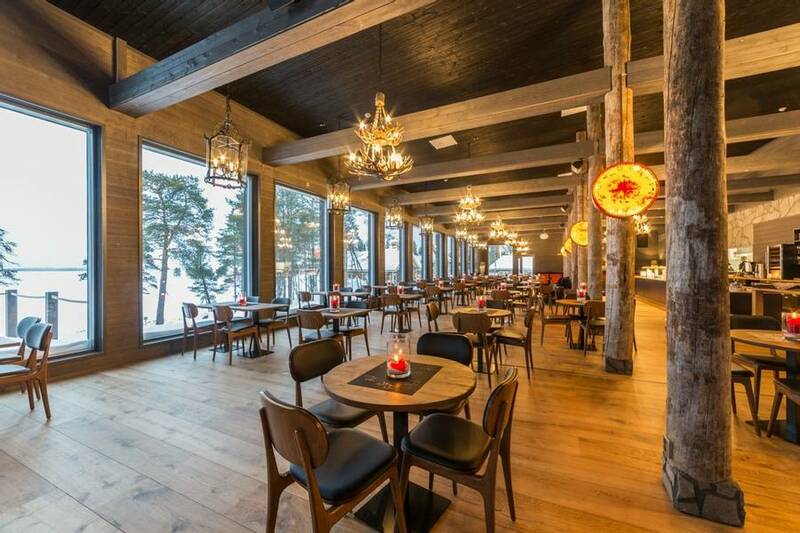 Here you will check in and enjoy your first meal in the main restaurant which has panoramic windows facing Lake Inari. You can then collect your cold weather clothing and your Aurora alert. 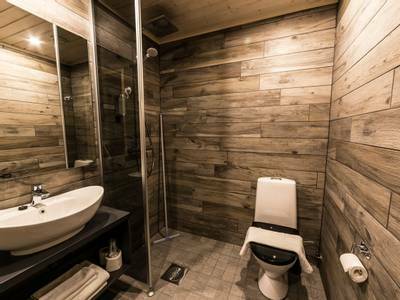 Your hosts will also provide you with your final itinerary, as the order of activities is always subject to change and will be confirmed locally. 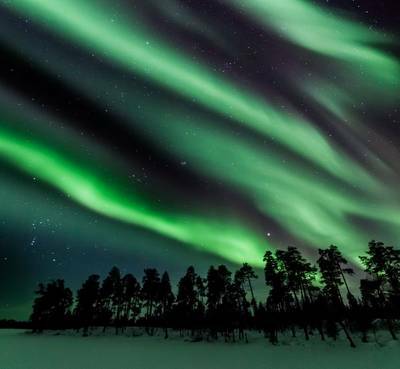 We do recommend taking a walk down on to the lake tonight however, as it really does provide an excellent location from which to witness the Northern Lights. Snowshoeing is the ideal way to get to grips with the peace and tranquillity of your new surroundings. 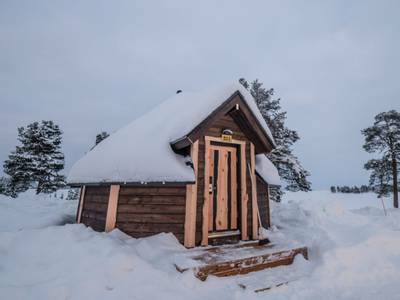 Immersing yourself in the wilds of Lapland and exploring on foot is a real delight. Your walk will last for around four hours in total as your guide leads you at a leisurely pace. 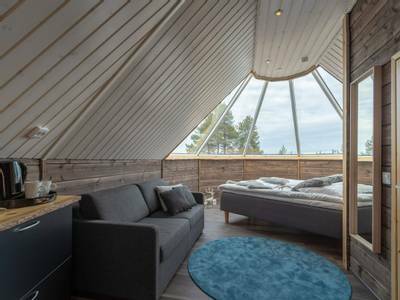 There will also be a break for lunch around a campfire (weather permitting), providing an ideal introduction to Finland’s Great Outdoors. 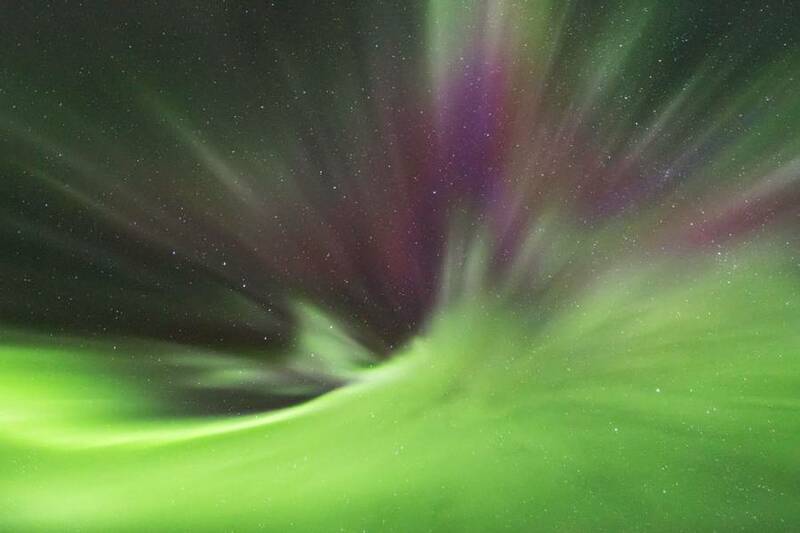 This evening, you will take part in an Aurora workshop at the hotel. 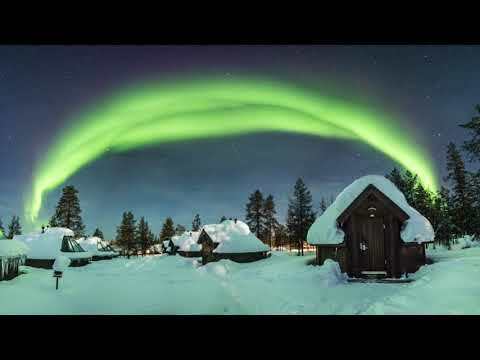 This is designed to give you a greater understanding of the Northern Lights as well as some hints and tips with regards to how to capture them on camera. A delicious New Year’s Eve meal will be served in the restaurant this evening and the celebrations will usher in midnight in style. 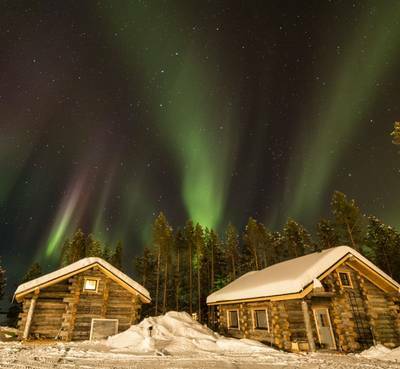 The village of Inari is around a five-minute drive from the hotel. 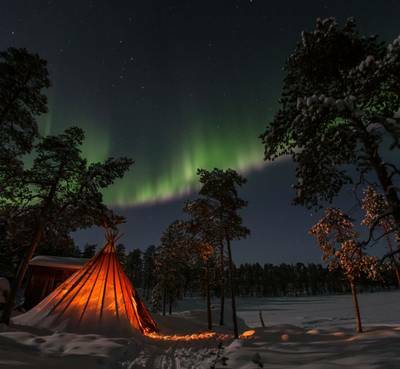 It is at the centre of Sámi culture in Finnish Lapland and is home to the famous Sámi Siida Museum. 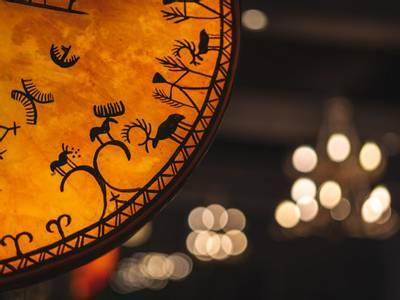 Today you will be transferred to the museum, so you can explore the history of Lapland and its indigenous culture. 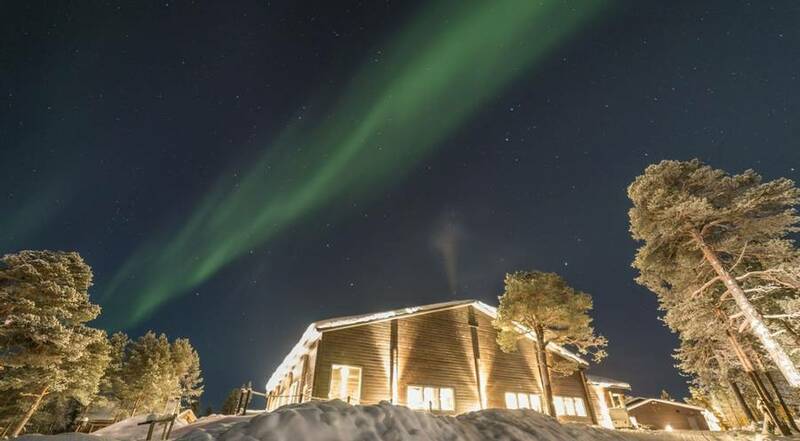 There is also a video presentation of Northern Lights photography as well as a gift shop which stocks local handicrafts. Lunch will be served back at the hotel and you’ll have some free time this afternoon. 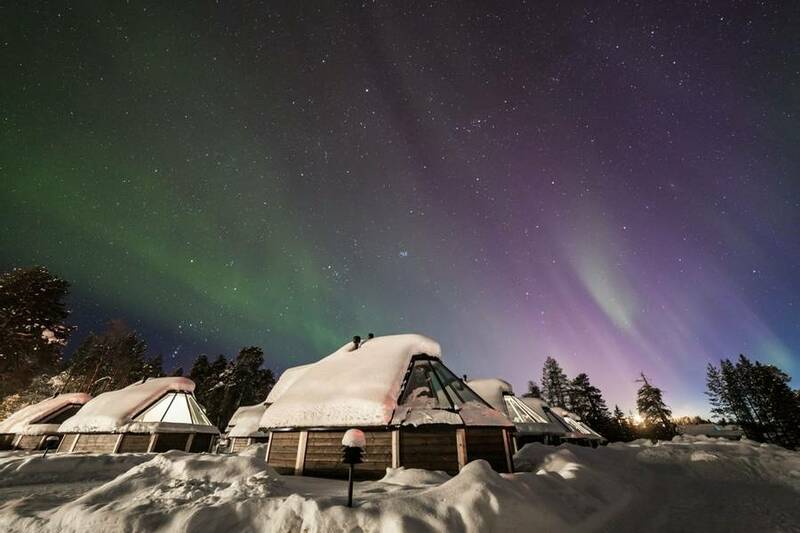 After another tasty meal in the hotel restaurant, you will head out with your guide to one of the Aurora Camps. 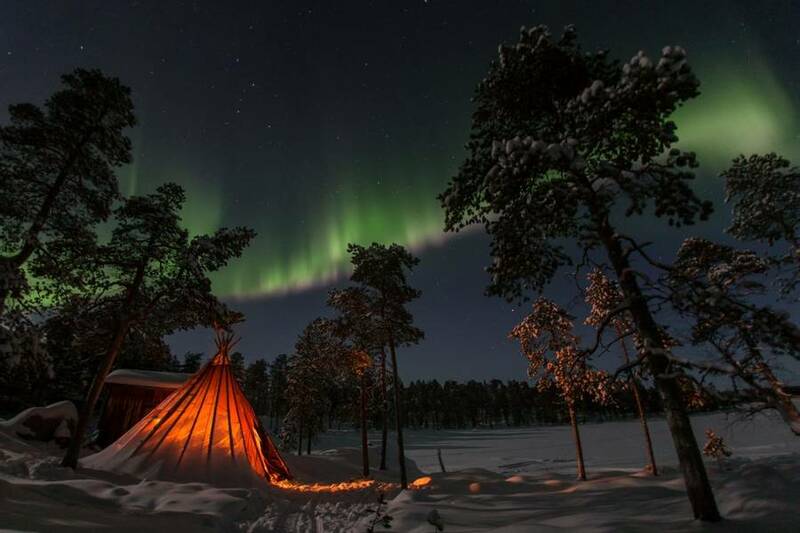 The camps have been erected in prime Aurora territory by the local team here, who know all the best viewpoints. 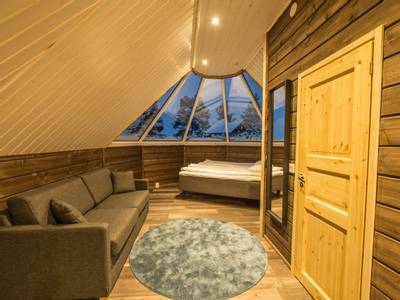 You will travel to the camp either by snowmobile sleigh or car and the destination will be selected based on the conditions. 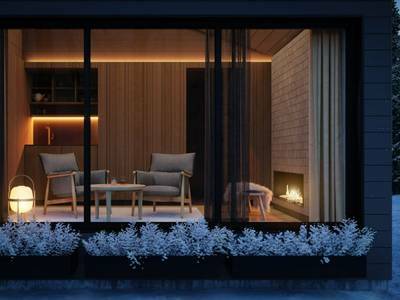 Warm drinks will be served around a campfire and you can gaze up at the sky in the hope of witnessing a display. This activity will last around 2.5 hours. 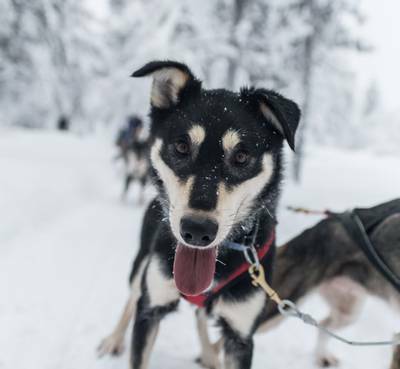 One of the most popular activities with our guests is dog sledding, and with good reason. Few activities are as synonymous with the Arctic, nor do they hold such a sense of adventure. The dogs will be lined up in teams and waiting down on the lake for you. Your guide will give you full instructions and a safety briefing prior to meeting your dogs. 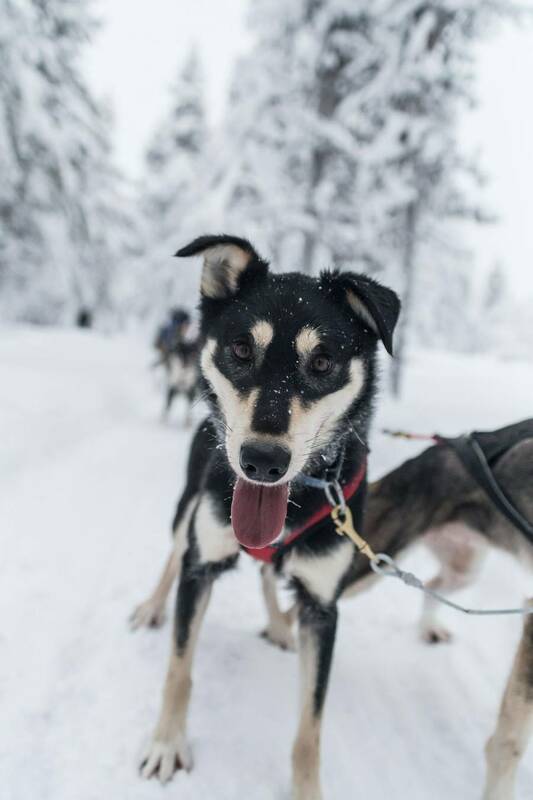 You will travel in pairs with one person in the sled and the other driving, you will have the chance to swap halfway. Once you meet the teams you will set off almost straight away as the dogs will be so eager to get going (they make a lot of noise at this point). Your guide will release your anchor and you’ll hit the trails across the lake. Travelling under paw power alone across a frozen lake is not an experience which is forgotten quickly. The safari will last around 1.5 hours in total and this will be some time at the end to meet the dogs and take photos. 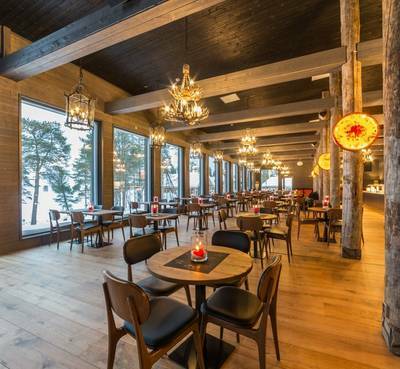 Lunch will be served in the restaurant, either before or after your adventure, depending on final timings. Today has been left free for you to tailor your time. 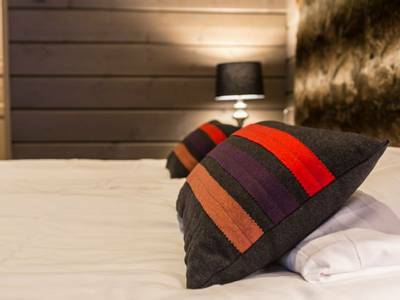 You can relax at the hotel, take a walk into Inari or book additional activities locally. All meals will be served at the hotel as normal. 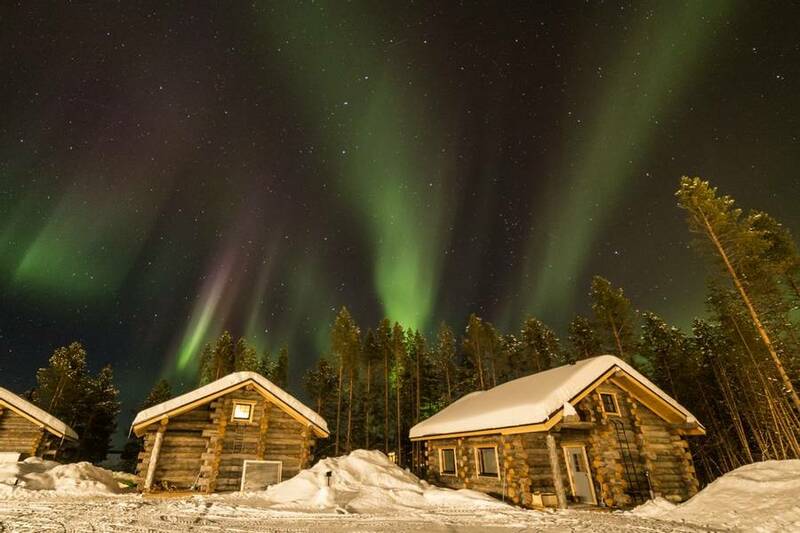 This evening, the Aurora hunting continues with a snowmobile safari in search of the lights. 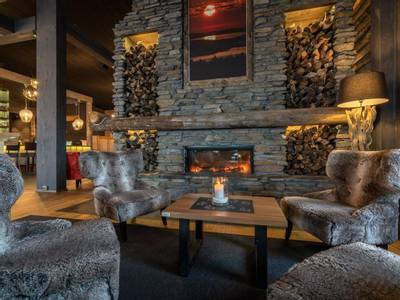 You will have seen snowmobiles whizzing by during your stay, as they are such an important means of transport in the area. They also happen to provide a wonderful way to hunt the Northern Lights. Your expert guide will provide a full safety briefing and instructions on how to drive the machines before you set off in pairs. 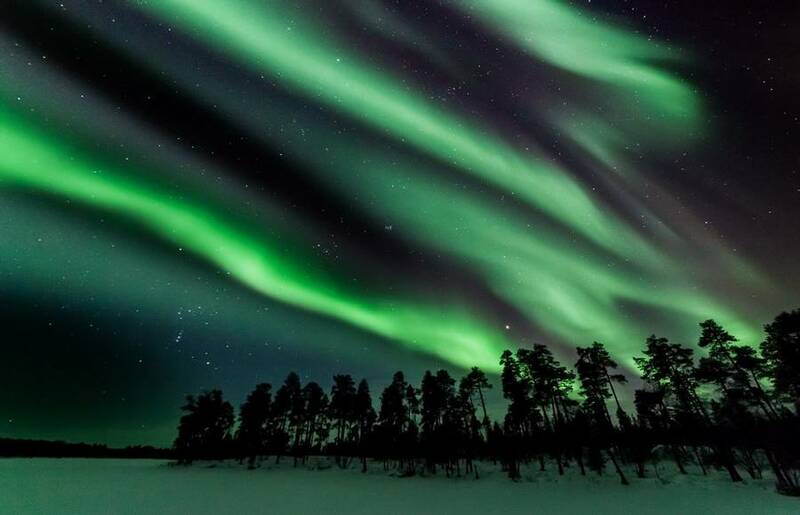 Your guide will choose the trails which they feel will offer the best Aurora potential. 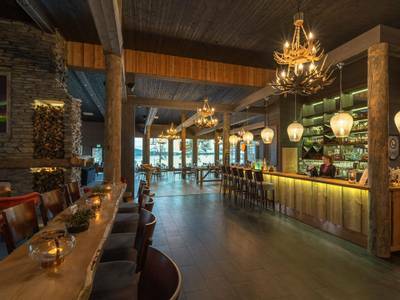 Warm drinks will be served from a prime viewpoint and hopefully, your efforts will be rewarded with a display. Cross-country skiing is one of the most popular pastimes in Finland, and as soon as kids can walk, they are taught how to ski. It seems fitting therefore that you should also give this activity a try. No form of prior experience is required as a full lesson will be given. Once you have all mastered the basics, you take a trip on some of the trails close to the hotel. In total, the activity will last around two hours. 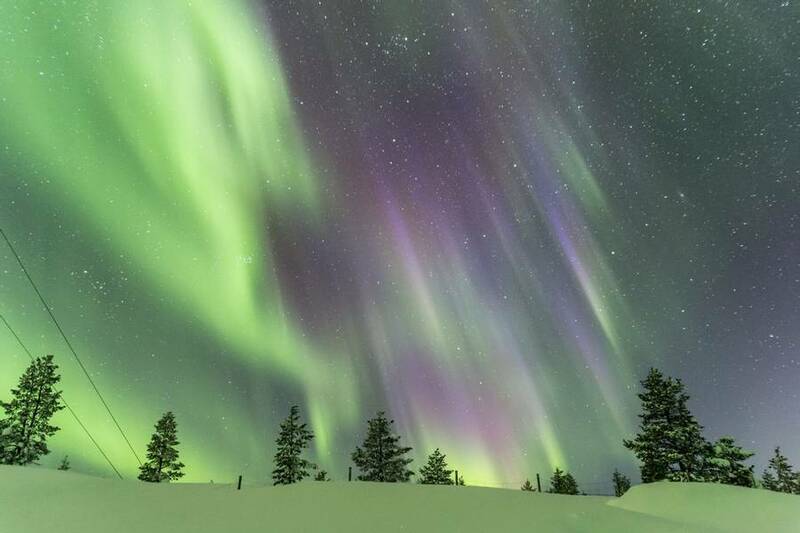 After dinner this evening you will enjoy a minibus/car hunt for the Northern Lights. Using a vehicle means that the guides have the change to try and outrun any localised cloud cover and find clearer skies. They will consult the local weather and solar activity forecasts and plan the route accordingly. 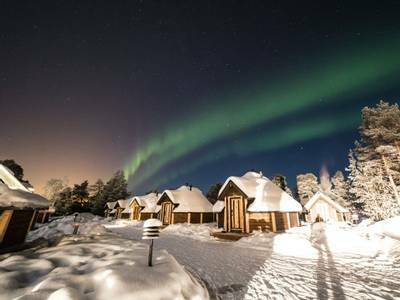 This may mean travelling to an Aurora Camp near the hotel or travelling further afield, depending on conditions. All in all, you will be out for around two and a half hours. 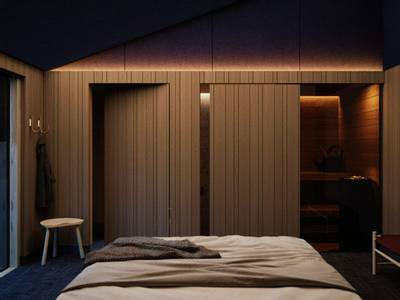 From your time at the Sámi Museum, you will have grasped that reindeer herding was, and is, a very important part of the local economy and culture. 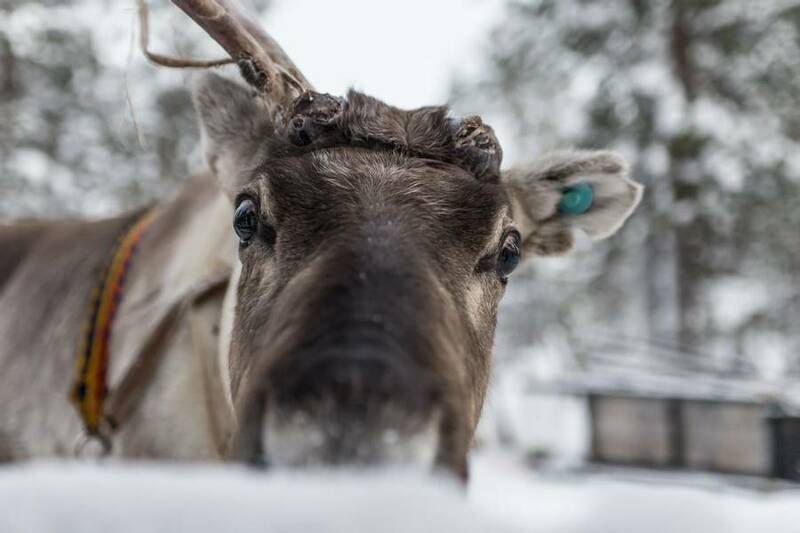 Today you will meet a local reindeer herder who will introduce you to their herd and explain what life is like for a modern-day herder. This activity offers a fascinating insight into this unique way of life. The experience will last for around two and a half hours. 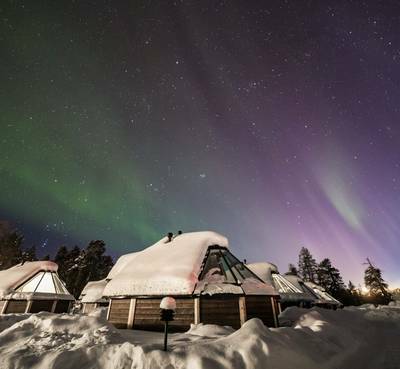 Your final activity will see you heading out to one of the Aurora Camps, for a final Aurora stake-out. 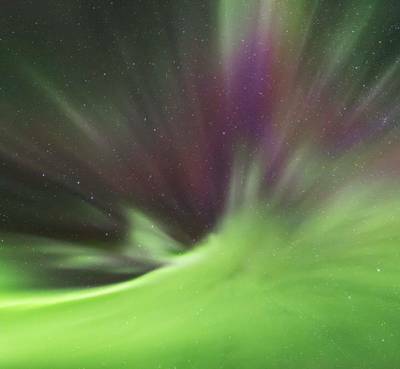 With luck, the Northern Lights will put on a farewell display. Today you must head home but hopefully, you’ll have a head full of incredible memories to help counter any January blues.